Do you think light wood flooring is too expensive or outdated? Well, it’s time to change your mind because not only is this type of flooring one of the hottest trends this year, it has also become affordable due to luxury vinyl tiles that realistically replicate it’s effects. There was a time when engineered wood flooring and laminate flooring were the only alternatives to hardwood flooring. All that changed with the developed of luxury vinyl tiles and now thanks to further technological advancements, consumers can choose from an incredible array of these tiles in different colours, patterns and wood effects including light wood flooring effects. Not only are luxury vinyl tiles with light wood flooring effects a cheaper alternative to solid hardwood flooring, they offer several other benefits such as easy maintenance, easy installation, versatility and durability. These tiles are soft and warm to walk on. 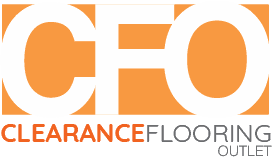 They have commercial as well as residential applications – they are popularly used in business offices, grocery stores, apartments and individual homes with no one being able to tell them apart from original hardwood floors except upon close inspection. Luxury vinyl tiles with light wood flooring effects can easily make the floor a standout feature in any room. Their versatility opens the doors to innumerable decoration possibilities. Whether you want a chic, contemporary look, a rustic ambience or a beachy, Scandanavian inspired look, you will be able to create it with amazing results. With their light tones, they help rooms appear bigger and brighter, especially if you install large planks. Due to their waterproof capabilities, they can be installed even in utilitarian areas such as the kitchen, laundry room, basement, etc. They can be used on staircases and pose no hindrance to underfloor heating. Luxury vinyl tiles are quick and easy to install, which makes them a popular option for DIY home improvement projects. Usually, you can either glue the tiles directly onto the subfloor or simply click them into position and lay them over the subfloor. With correct installation, you will have a floor that’s as beautiful as a natural solid hardwood floor and gap free. These tiles are a hygienic option and make a fantastic alternative to carpets. Online suppliers stocking reputed brands of LVTs offer huge discounts on clearance stocks. Order a free sample before you make the final purchase decision!